We've enjoyed a heritage of creating high quality, innovative pizzas for over 50 years. Pied Piper Pizza has always stood for freshness, innovation and craveable flavors in everything we serve. Come in and see us today! Chicken, Salad, Sandwiches & Pizza To Go! Pied Piper Pizza delivers within a 5 mile radius of our location. Please note $10.00 minimum order / delivery charge. All you can eat buffet including salad bar. $9.95 Lunch (11am-2pm). $10.95 Dinner (5pm-9pm). Children under 10 – $4.25. Bring your family and friends into Pied Piper Pizza today for some tasty food, play arcade games, darts and more! 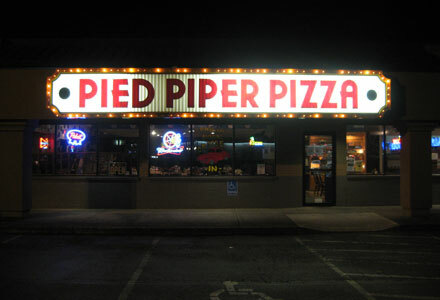 Copyright © 1968-2019 Pied Piper Pizza - All Rights Reserved.